1. His Arkansas-based company made him the richest man in the United States from 1982 to 1988. 2. What a lark! What a plunge! For so it had always seemed to her, when, with a little squeak of the hinges, which she could hear now, she had burst open the French windows and plunged at Bourton into the open air. The character is named Clarissa. Who is the author? 3. 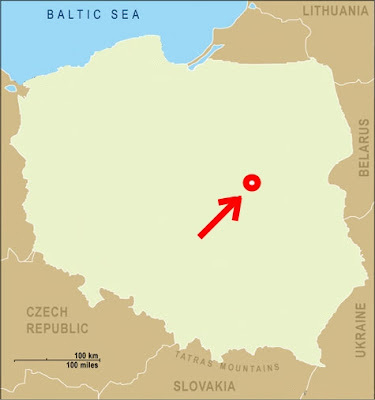 This is one of the largest areas in the world with unresolved competing claims on its sovereignty. Which is to say, what country does it belong to? Depends on whom you ask! What do we call it, in English? 4. Who composed Götterdämmerung, Till Eulenspiegel's Merry Pranks, and Parsifal? 5. Who recorded Quadrophenia and Live at Leeds? 6. What city is this? 7. Spanish-language placenames like Guadalajara or Guadalquivir derive from this Arabic word, which means "valley" or "intermittant stream." 8. 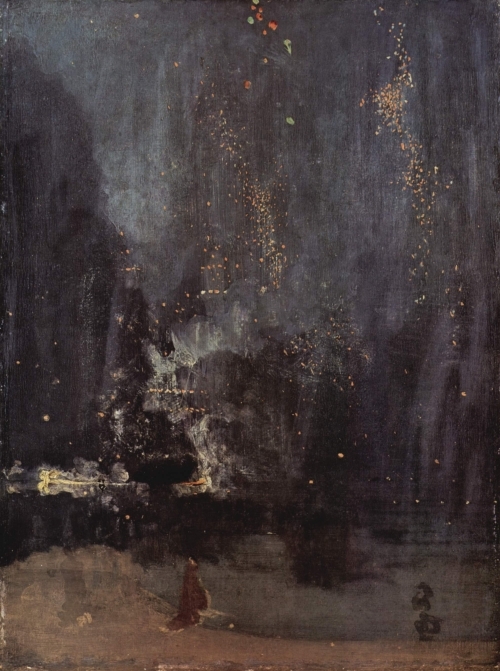 You're most familiar with his "Arrangement in Grey and Black," but this one, the "Nocturne in Black and Gold," is known in part because he sued John Ruskin for libel after he gave it a nasty review (and won, although it was a pyrrhic victory). Who is this American born artist? 9. He was chair of the convention that drew up the United States Constitution in 1787. 10. It's ranked, depending on how you slice 'em, as between the 4th and 8th biggest city in China. Its metro area has roughly the population of, say, Sweden. A major transportation hub, it is known for six very long bridges over (and one tunnel under) the Yangtze River. What's its name? Held over by popular demand! Time yourself for two minutes -- How many creatures can you name that begin with this week's letter? What a lark! What a plunge! Put your answers in the comments. 8. Whistler (not his mother). 9. Washington, George, I guess. Extra Credit two-minute drill: got bored after 20 seconds and four animals. Started considering human creatures, such as Warhol and Wilde and Wiesberg and Winston Churchill and Winnie the Pooh. wombat, whippoorwill, wallaby, worm, woollybear, werewolf, weevil, wizard, wobin, white-throated sparrow, wheatear, whippet, bzzt. 5. A... musician. Of some sort. Of the W sort, even! 7. Interesting. It must be something like "wadal," huh? 8. Maybe *you* are most familiar with "Arrangement in Grey and Black." Apparently my art history education was inadequate. 10. Uh-oh, another China question. Oh, Whistler! Okay, I do know that one. Just not under its real name. Whale, wallaby, wombat, wild animal, worm, wasp, wagtail, wren, wrasse. 1. Some American, maybe called Wallace? 2. Some Brit, probably called Woolf. 8. Whistler, methinks, not that I'm familiar with this particular work. wallaby weasel walrus weevil whale well not very many it turns out--I know! I'm off to get groceries before they close! I love starting a Wednesday quiz, wondering what the secret letter will be, waiting to see if I can get two guesses with the same letter. Some weeks my whole answer slate hinges on that. 1. I'm torn between Warren Buffet, who I know was the richest and 1988 kind of matches up with when Bill Gates would have caught him and the guy who owns Wal*Mart, whom I'll call "Walter Mart." Except that "Walter Mart" only begins with W because you made it up. 2. Why would I be expected to know this? Unless she's the Silence of the Lambs Clarissa, in which case it's ... why would I know the author of a book I've never read on which a classic movie is based? 3. Spanish Sahara, but if either choice for #1 is right, then maybe Western Sahara. 4. Wagner, yes, I believe it's a W-day, if only because I can name an opera guy who has a W.
5. The Who - first band I can think of that begins with W and is possibly from Leeds. 6. I think they spell it Warszawa, but that Warsaw would also be an acceptable answer. 7. I learned this in grade six social studies. I'm stunned, stunned to discover the knowledge has this level of use. 8. Andy Warhol. Damn, give me a letter and I can NAME stuff. I love the alphabet, I really do. 10. Wuxing - I make up all my answers that are the names of cities in China. I was so stunned to discover that my grade six knowledge was of use that I forgot to specify it. wadi. Yay! Longtime follower of Vexillolophilia, but as a lover of trivia, just noticed this! Hope I'm not late! Blogger often snacks on comments, one way or another. It also occasionally claims my browser's cookie functionality is turned off (lies!) or that I can't post without logging into Google. My browser's cookie functionality has been tested on chocolate chip, oatmeal raisin and Oreo. What more do they need?! Now that my answers have been eaten by Blogspot, maybe I should take the test again and put in more correct responses! But I had such a cute list of w-animals. 9. George Washington. This was more of a "Wow, who knew?" then a proper question, I suppose. 10. Wuhan! Birthplace of Niece #3! You probably got to see out comments in your e-mail anyway, right Michael?